On Thursday 23 June, the EU Referendum will ask UK voters whether the country should remain a member of the European Union or leave. As the debate for and against Brexit intensifies, Munira Mirza makes the case for artists and those in the arts to vote to leave, while Clymene Christoforou argues that the UK should remain ‘at home’ in Europe. The subject of the EU has not really been on the radar of the cultural sector in recent years but has been brought into sharp focus by the forthcoming referendum, portrayed by both sides as an existential choice about who we are as a society. One of the functions of art and of broader cultural debate is to challenge conventional thinking. So in that spirit, I want to question the binary assumption which appears to be widespread among those in the arts that it is progressive and enlightened to want Britain to remain in the European Union and old-fashioned and reactionary to wish to leave. Let me ask just one question: is it progressive for Britain to have an immigration system that extends a warm and almost unconditional welcome to Europeans, who are usually white, while making it very hard for non-Europeans, who are very largely non-white? This is discrimination on a scale so vast and overwhelming yet many British people have barely clocked it. Those of us who have Indian, Pakistani, African, Chinese and other non-European ancestry, have noticed, however. Why, we wonder, should people from the same countries as ourselves face tighter restrictions on coming to the UK, while white Europeans face no similar barriers? As someone who believes immigration is vital and beneficial to the UK, I believe we should welcome people from the EU – but feel this should be on equal terms with other global citizens. Should we put up discriminatory barriers for promising artists and scientists from outside the EU who wish to work or study here? If Britain left the EU, we could decide for ourselves who should be able to come in based on merit, rather than nationality. Our cultural life would be enhanced by a less eurocentric approach. I suspect the reason why so many self-identifying progressives instinctively support the EU is that they dislike the opposition: the braying old fogeys who want to leave the EU in order to stop immigration altogether. The knee-jerk response is to believe that if such bigots and philistines are against something then they must be for it. Fortunately, there are a number of left-of-centre figures who are challenging this simplistic thinking. Partly because of the crisis in the Eurozone and the tragic impact on Greece and other poorer countries, many people are rethinking their old assumptions and starting to look at the arguments more objectively. A number of Labour and Lib Dem politicians – from Gisela Stuart MP to Lord Owen – have joined Conservative politicians in arguing to leave. The radical democratic spirit of the left’s greatest Eurosceptic, Tony Benn, is alive and well. Far from being a beacon of cosmopolitanism, the EU is actually too parochial for our needs. As a country we should aspire to develop strong commercial, trade, cultural and political links around the world. Yet the bureaucracy of the EU means it has still not achieved a trade deal with India or China. Such emerging economies have a huge appetite for our world-class cultural goods and services, yet we are missing this opportunity by being locked into a one-size-fits-all European system. Naturally, some people in the arts and creative sector are worried that leaving the EU means losing EU grants. However, Britain is a massive net contributor to the EU budget – £350m every week, of which only around half is returned through grants and the rebate (and only a tiny fraction of that for cultural projects). To put this figure in context, Arts Council England’s budget for the entire year is approximately £600m. Taking this funding back means we could afford to spend more on our chosen priorities – from the arts, to universities, to the NHS – without the costly box-ticking and distortion that comes with EU funding. If we left the EU, could we still trade with EU members? Yes, of course. Leaving the EU doesn’t mean leaving Europe! For the culture sector, the practical issues of how to organise tours, transport art works, and arrange travel for artists, would be worked out as part of a new trade negotiation. A staged exit means this could be worked out carefully and calmly, in cooperation with the EU. The most compelling issue in this debate, however, is the EU’s democratic deficit, which people on both sides recognise as a serious problem. It is much harder to vote out the people who make EU legislation that now accounts for around 50 per cent of UK law. Inevitably this leads to much costly and unnecessary regulation, but it also means that Parliament has increasingly less control over areas like the NHS, ceding power to an unelected elite of bureaucrats and corporations. For example, the controversial TTIP (Transatlantic Trade and Investment Partnership) currently being negotiated between the EU and US government would make it possible for global corporations to sue the British government for introducing laws that undermine their profits. Interestingly, artists are starting to engage with this issue with some force. Whichever way the country votes on 23 June, the debate needs to be sophisticated and go beyond lazy cultural stereotypes. The EU referendum is not just a tedious fight amongst politicians, it is about how we engage with the world, and how we revive our democracy. Artists, like all citizens, have a chance to participate in this debate and bring it to life, in all its complexity – they should seize it. Munira Mirza was London’s deputy mayor for culture and education from 2012-2016. She writes here in a personal capacity. The EU referendum calls into question not only our political and economic union, but the very nature of our European identity. Brexit would signal a turning away from centuries of shared culture. 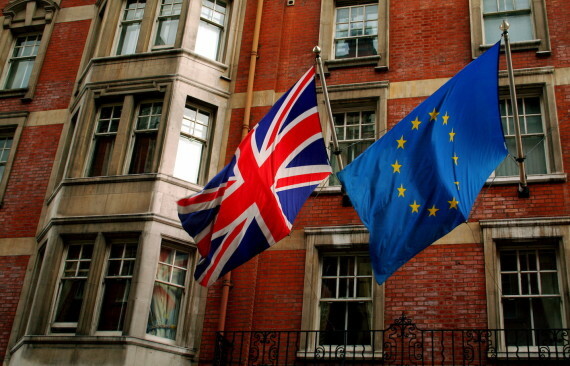 Our pro-EU politicians regularly present the economic and security arguments for remaining part of the union, whilst they tip-toe around issues of nationalism and sovereignty – fearful perhaps, that to appear too European in our culture is to somehow appear unpatriotic. From the Out campaign we hear that Britain does not need Europe in order to be great in the world – that we are important enough to stand alone. We rarely observe that this rise in nationalist rhetoric is a wider European malaise where new walls reinforce old enmities and security concerns restrict our civil liberties and freedom of expression. It is here, in the face of discriminatory national policies, that the European Union protects the rights and liberties of all EU citizens, safeguarding the space for arts and culture to flourish. The days of Empire are long gone, and on the world stage a Britain which is part of the European Union has a stronger voice than one that isn’t. In March, just before the attacks on the airport and metro in Brussels, I was asked to talk about the UK referendum to a room full of artists and arts organisations in LaVallée, a vibrant arts space in the city’s Molenbeek district. I explained, as best I could, why our prime minister would choose a referendum at this point, what it was he wanted in his ‘deal’ and where our press stood on the issue. The response, and one I have heard now so many times, was of concern. Concern that the EU would lose the distinctive British voice so valued by our friends and colleagues, and concern that the nationalist agenda that would take us out of the union would pave the way for other countries to do the same. In that reclaimed industrial space, home to 25 artists’ studios, members of the Culture Action Europe network gathered to explore the issues we share, from the amount we are paid to the role of art in a democracy; from the resources we need to the responsibility we have to our fellow citizens. Of course we saw national differences, but in the kind of space now so familiar across our continent we were united through our culture and practice. In May, ISIS Arts – of which I am founder and co-director – will have 25 artists and producers coming to the UK for Corners, a project that draws threads between artists and communities on the geographical edges of Europe. Here, newly commissioned works tell and retell stories in public settings from Gdansk to Blyth, Taranto to Middlesbrough. Like their European counterparts, our UK artists can move freely across Europe without visas, access healthcare as locals, benefit from regulated data roaming, sell their work in a single market without punitive tariffs, or if they wish, choose to up sticks and live (and work) in any one of the partner EU countries. Whilst it is not all about the money, it is worth mentioning the much-touted Norwegian or Swiss models mooted as alternatives for the UK’s relationship with the EU. Here, Norwegian colleagues remain eligible for EU support, but for this to happen Norway continues to pay into the Union, without a vote on how it works. Swiss friends and artists argue their country’s separatist relationship with the union and their ineligibility for inclusion in these programmes has had an isolating effect, resulting in a decrease in transnational artistic exchange. No one knows what life after Brexit would look like, but we do know that article 50 of the Lisbon Treaty is the only mechanism that can be trigged to leave – a treaty that excludes us from the negotiations on our future relationship with the EU. We can forecast that an exit will financially damage the arts in the UK, that artists living and working across Europe will find it harder and that EU partners will be under no obligation to favour relationships with us. While this scenario is possible, the reasons for remaining should go beyond percuniary or self-protectionist arguments. We are after all geographically European and part of a European culture that shapes our relationship with the rest of the world. As artists and arts organisations we are its drivers, its followers, its interrogators and its collaborators and we should vote to remain at home in Europe. This article was first published on the a-n website on 12 April 2016 and appears here with kind permission of a-n.
Are you 'in' or 'out'? Private: How do EU like your eggs in the morning?